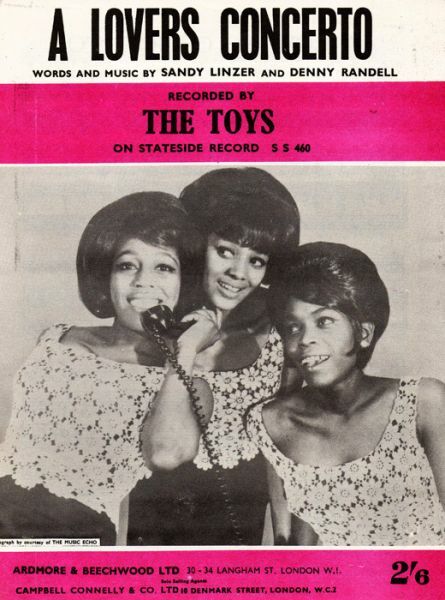 LOVER’S CONCERT as performed by Barbara Harris and the Toys c. 1965. This is a classic from the 1960’s arranged in the original style. Custom arranged for vocal solo, SSA back up singers, piano, bass, drums, guitar, tambourine (optional), vibes (optional), trumpet, trombone and baritone sax. This is a “ready made” SHOW PACKAGE great for concerts, shows events. Listen to the midi audio of this arrangement. Note this version has a shorter intro than the original and begins in the key of Bb which is one step lower than the original. Ask about alterations, if desired.